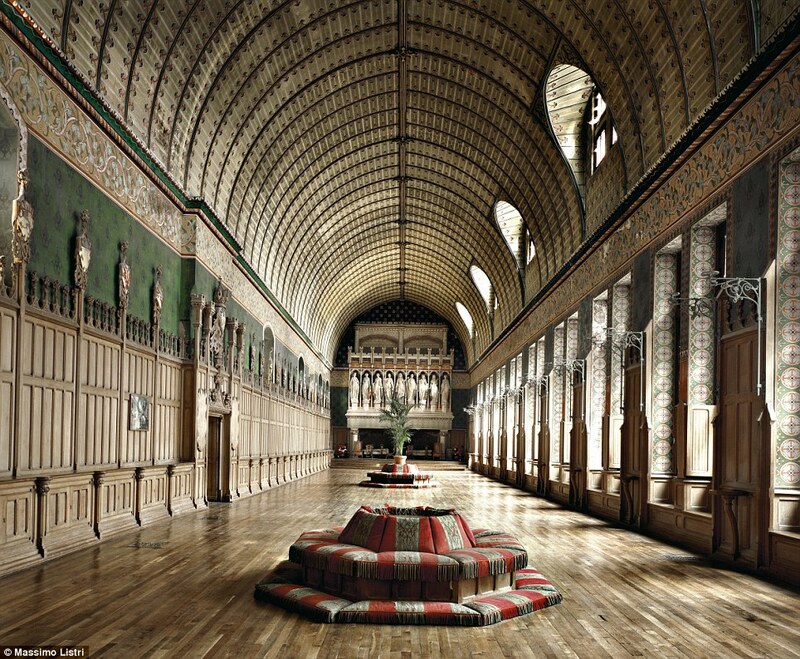 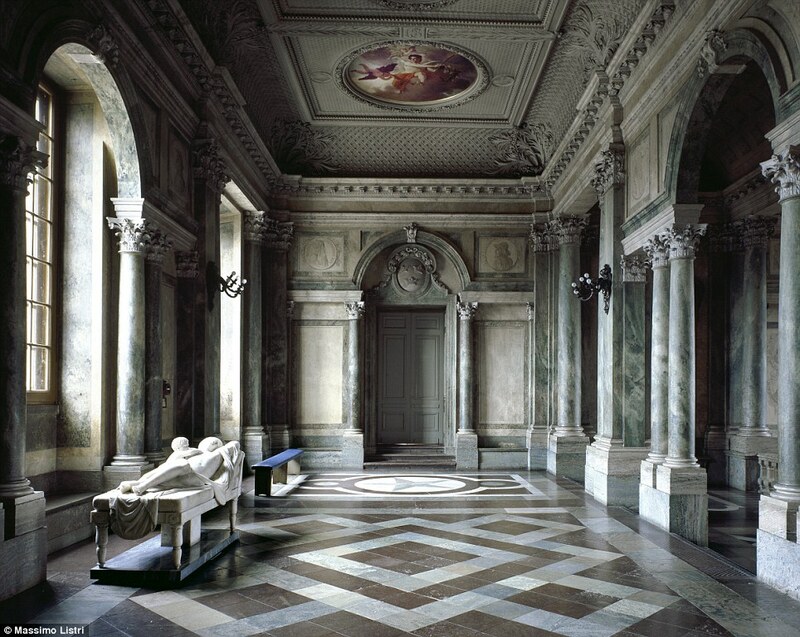 They were once filled with courtiers, kings, and other members of the aristocracy. 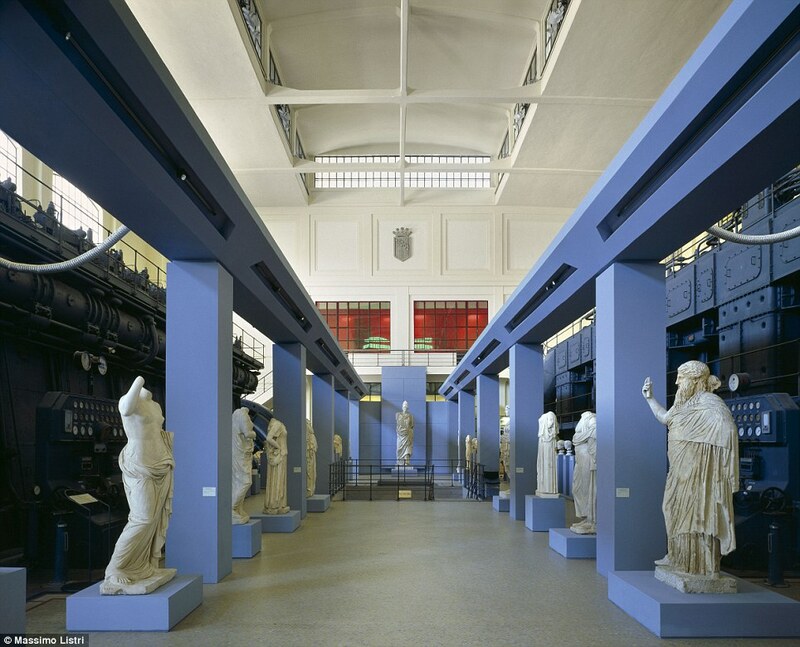 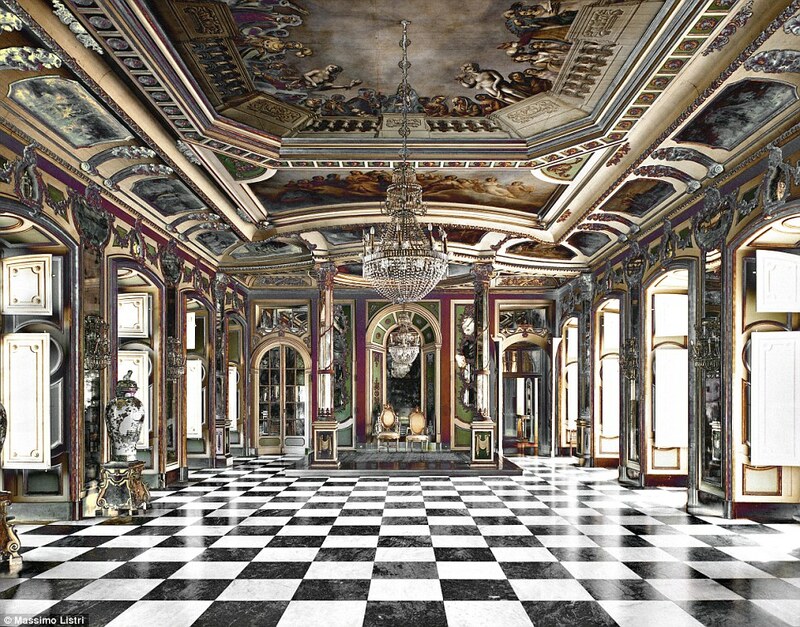 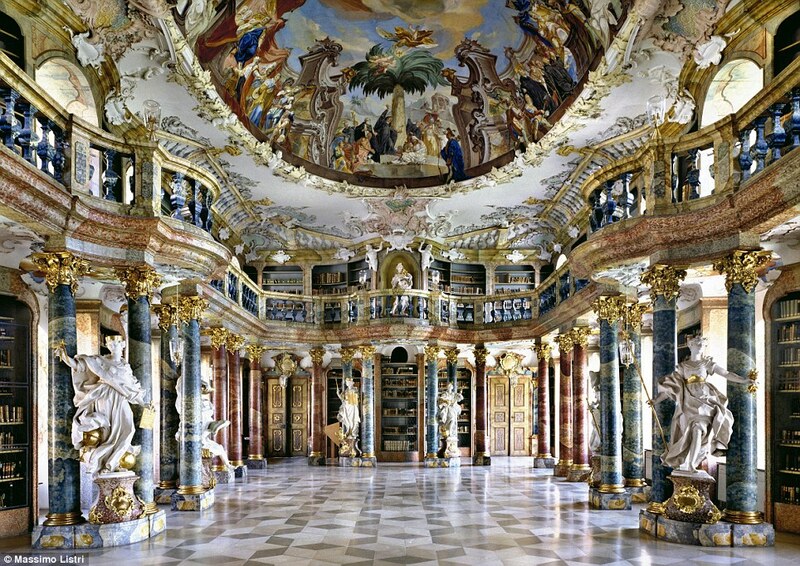 But stunning images capture the silent galleries, corridors, and libraries of Europe in a whole new light. 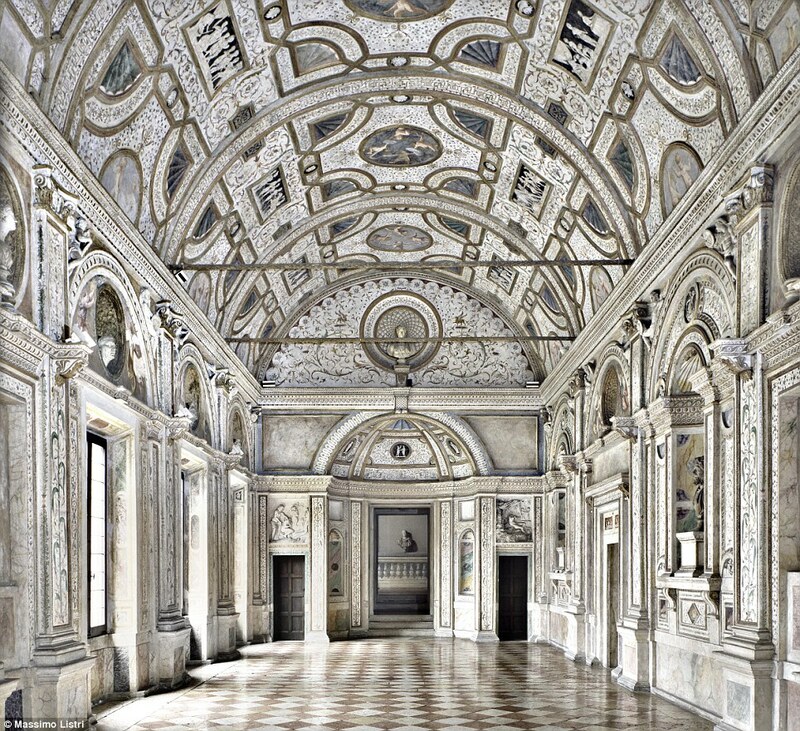 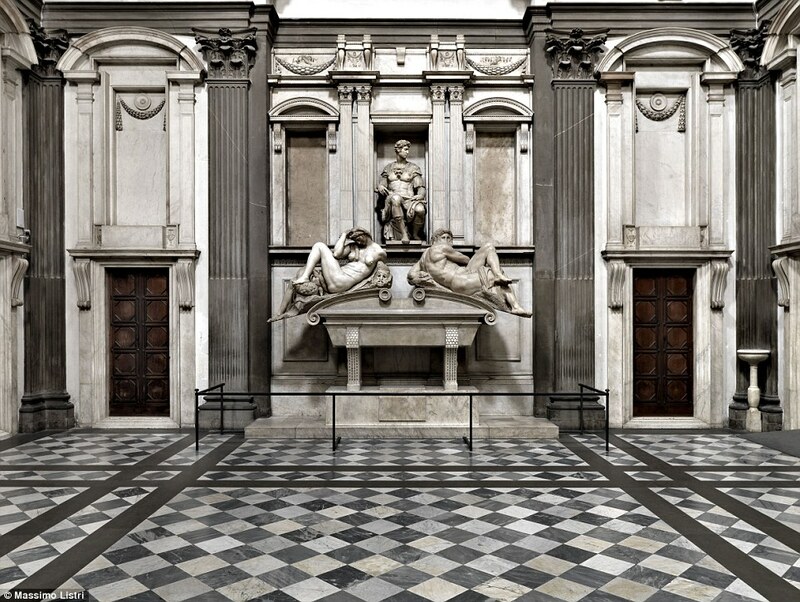 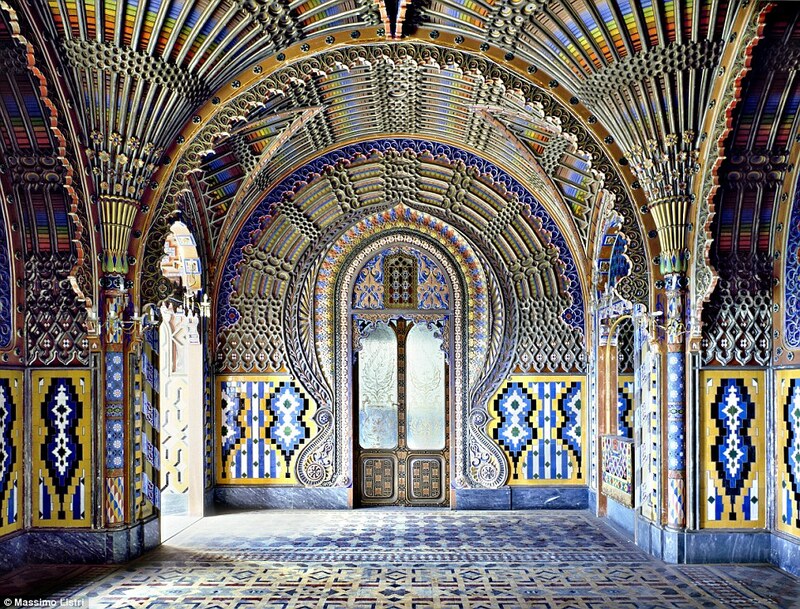 Captured by Italian photographer Massimo Listri, the images span from Portugal to Sweden, France, and Italy, and show the intricate masterworks from ages past. 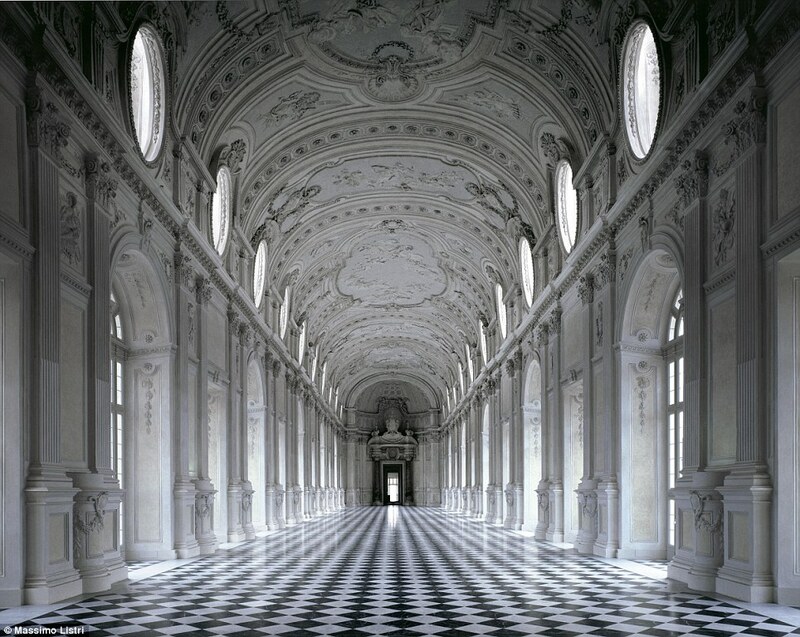 His images evoke a certain solemnity, both beautiful and isolating at once. 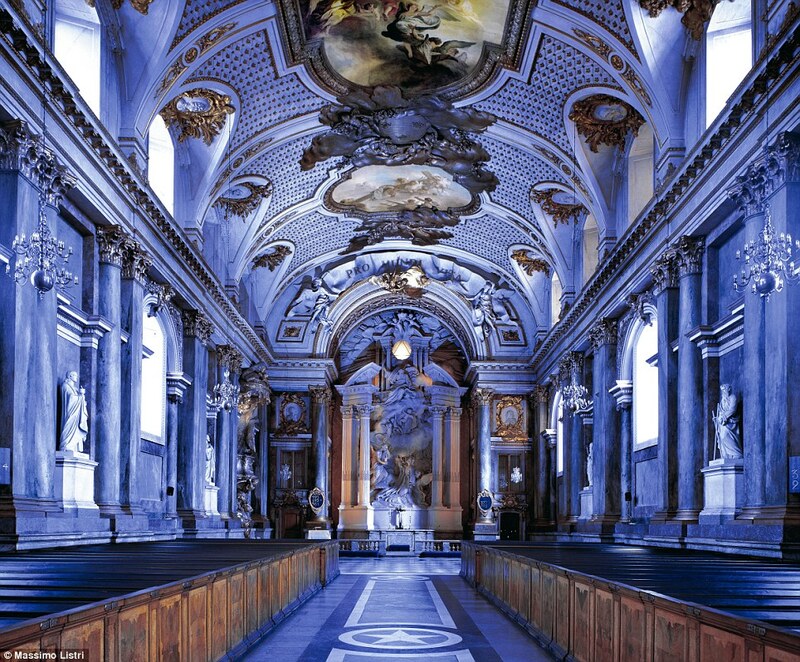 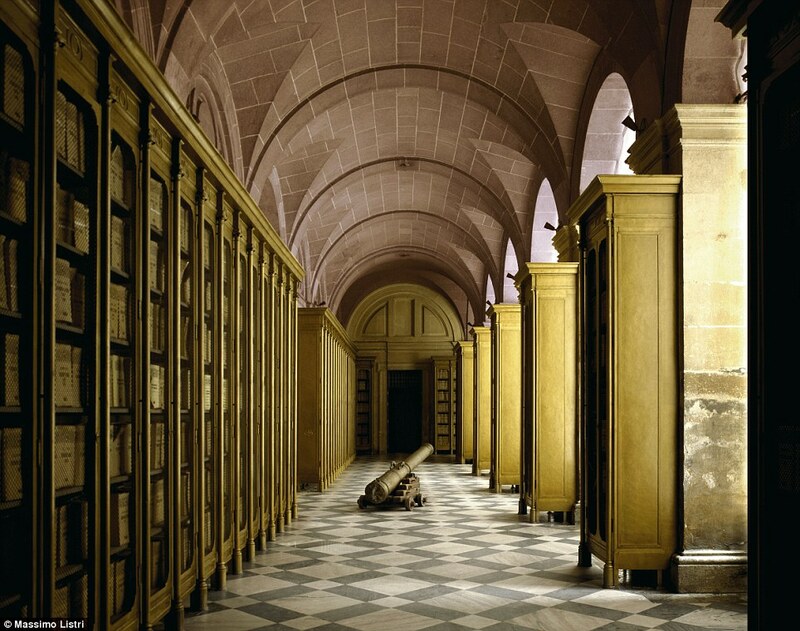 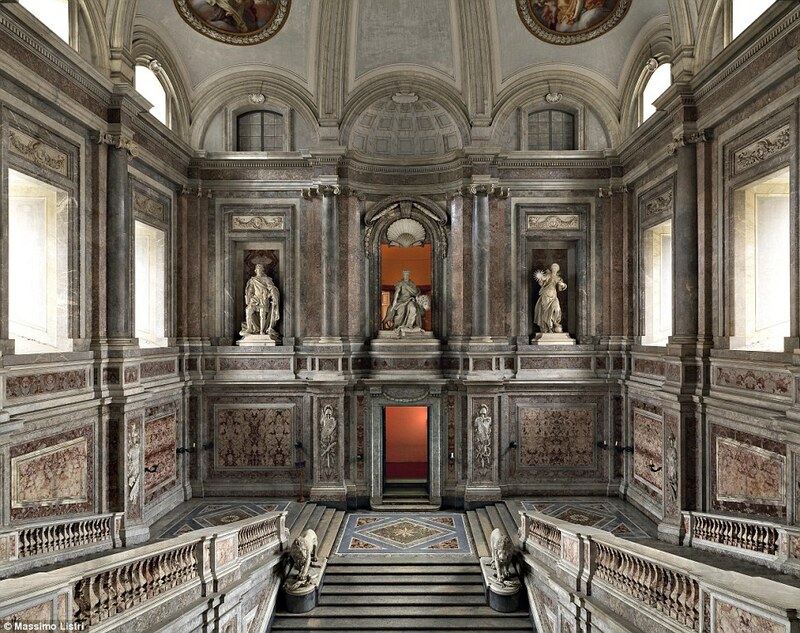 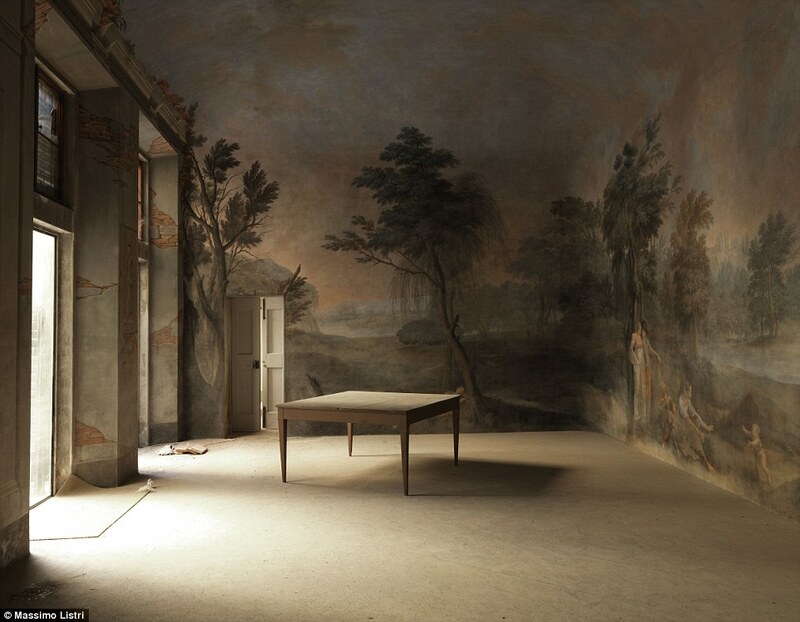 Included in his portfolio are pictures from the library of Wiblingen Abbey, which was once a Benedictine abbey and has since been transformed into housing medical facilities for the University of Ulm in Germany. 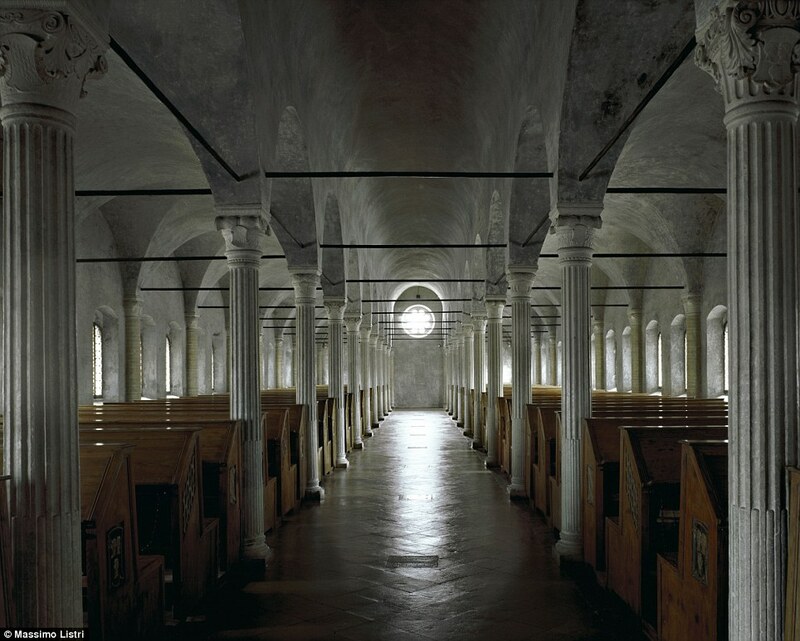 Another image shows the the Malatestiana Library, located in Cesena, Italy, which was the first European civil library that allowed everyone -including the common people – access to its books.